My efforts to think and act in a holistic manner also include the challenge of doing justice to the science. This applies both to the work on individual themes as well as for the overall perspective. Such a thought process is the focus of my Institute for Mediation and Life Management which is currently being formed. 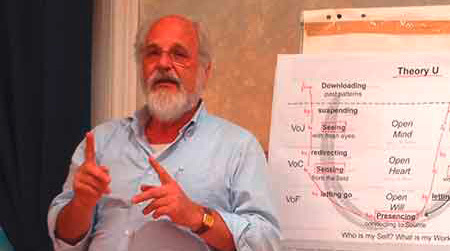 The Institute’s stated purpose focuses on cooperation and co-creation. Its attitude is the invitation to (creation of) commonality. 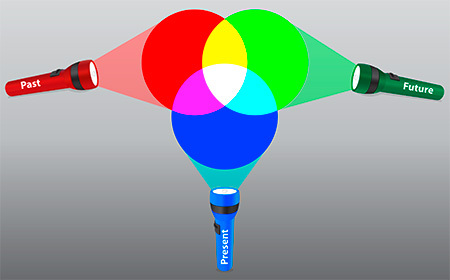 in-vita-tion to co-operation and co-creation. Adapting to One Another / Transient Oscillation – a Problem? 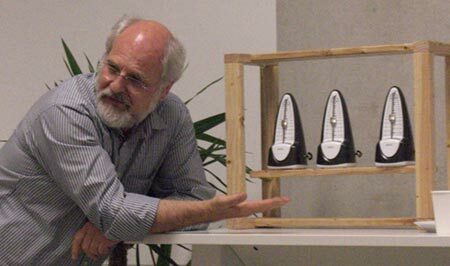 A small experiment with three metronomes provides an opportunity to discuss various aspects via this type of metaphor: Adapting to one another/“transient oscillation”; power of “self-synchronisation”; importance for the work approach of mediation; importance for the project work and/or team-building; “entrainment”, etc. What we need for our lives, for our “human-appropriate” actions, are knowledge, understanding and acknowledgment. This equally requires a view of the “present”, the “no-longer” and the “not-yet”, with a collective view of the past, present and future. I would like to–making reference to my logo “in-between”/“in the middle of polarity”–not wish for my “anthropology of the in-between” to be construed in such a manner that we should flippantly dismiss the “no-longer” as well as the “not-yet” in order to make the “in-between” experienceable/realisable for us as the present. Quite in contrast, we should embrace and unite/merge/conjoin both of the aforementioned poles. We describe the creative vibrancy of such a TIME model with a word creation derived from it by our speaking (in English) of “VENNergy” and/or of “VENNergizing TIME”.